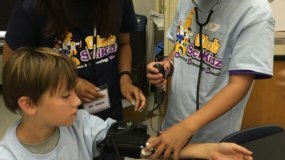 Campers learn about the life of physicians and surgeons, and are exposed to the important life saving techniques of first aid. 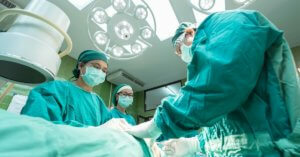 Numerous hands-on projects include using medical instruments, triage and diagnosis, and how to give a shot. We also explore the structures and physiology of the amazing human body. Projects include: frog and sheep heart dissection, making herbal medicines, learning to stitch a wound, build a lung model, first aid techniques and splinting. In addition, each camper will receive a stethoscope, dissection kit, first aid supplies, and take their “Medical Boards” at the end of the week to receive their certificate.